There’s nothing Singaporeans love more than food! Night markets in Singapore are some of the best places for anyone to get their dose of local delicacies! These markets boast a wide array of local food and some of them even sell inexpensive trinkets and souvenirs that make for fantastic gifts! Thinking of where to go to get your supper fix? Or perhaps you’re looking to do some late-night shopping? Don’t worry! We’ve got you covered with this quintessential guide on some of the best night markets in Singapore! Night markets in Singapore are also known as ‘pasar malams’, which is a term that is directly translated into the Malay language. 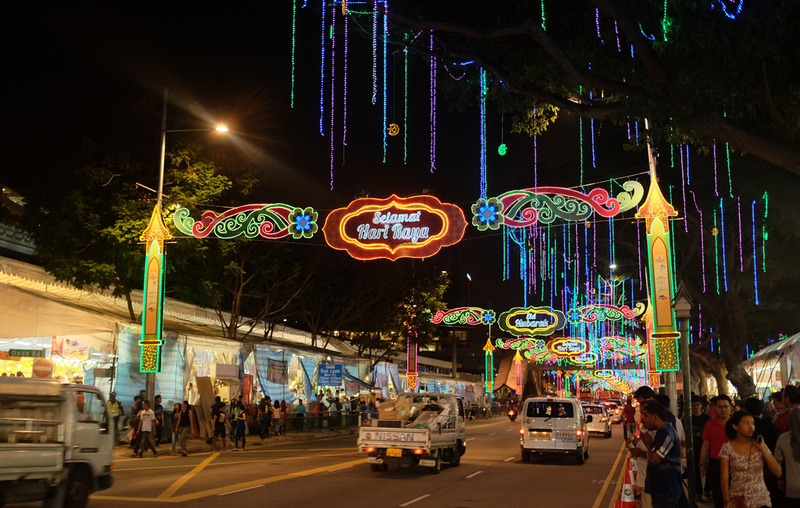 The Geylang Serai Ramadhan Bazaar, as the name suggests, is only open during the holy month of Ramadhan in the Islamic calendar. This night market in Singapore grew from a humble ‘pasar malam’ that was typically frequented by the Malay community to a full-scale bazaar that’s now popular among people across all age groups and ethnicities. Its popularity can be attributed to the diversity of food sold, which includes traditional ‘pasar malam’ food and hipster-esque food creations like rainbow-coloured treats! Do expect to squeeze through crowds if you decide to visit this night market! 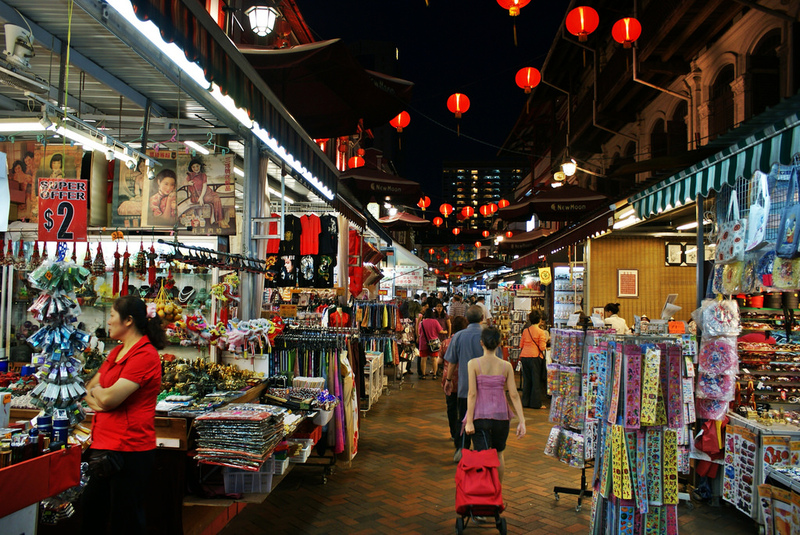 The Chinatown Night Market in Singapore is definitely a sight for sore eyes! With vibrant-coloured decorations plastered across the shophouses, it makes the stroll through this night market all the more exciting and enjoyable! This night food market offers a range of tasty goodies you can munch on along the way! Other than the amazing local food, you can also find Chinese paintings and antiques to furnish your home! The Little India Arcade is a hidden gem located at Serangoon. This shopping area is a must-go if you want to experience authentic Indian culture! 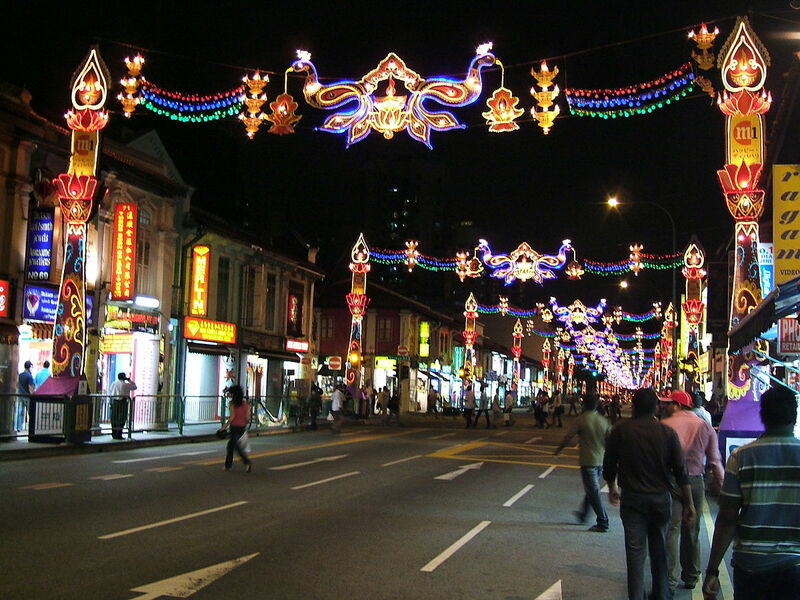 Little India’s unique charm is sure to win over your heart as the cluster of bright shophouses here carries the flair of a timeless tradition. As you explore this night market, you’ll find yourself roaming through the many alleys filled with shops selling items ranging from sparkling jewellery to beautiful tapestries! If you’re feeling tired from all the walking, buy yourself a cup of chai to relax before continuing your journey! The Bugis Night Market in Singapore is located opposite of Bugis Junction so it’s super accessible via public transportation! It sells a variety of reasonably priced items such as clothes and portable fans to beat the humid weather! Some of the snacks that are sold, such as Merlion-shaped chocolates, are also uniquely Singaporean which make them great buys for tourists or even your friends! 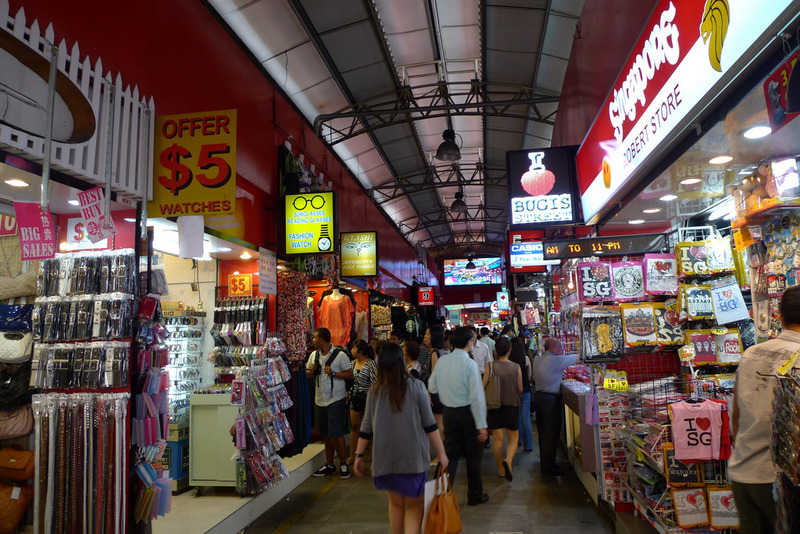 Since many students and tourists flock to this shopping arena to grab some of the best deals in town, the ambience can be rather chaotic but a night market wouldn’t be complete without all the noise, right? Situated in the heart of the city is Boon Tat Street Market, otherwise known as Satay Street since there are chock full of stalls selling satay at this night market! Operating at night, the road closes off from 7pm onwards. In an era of endangered hawker centres due to the pressure of increasing rental costs and expensive ingredients, Boon Tat Street Food Market rises against the odds and attracts locals and tourists alike under a unified love for a classic local dish! 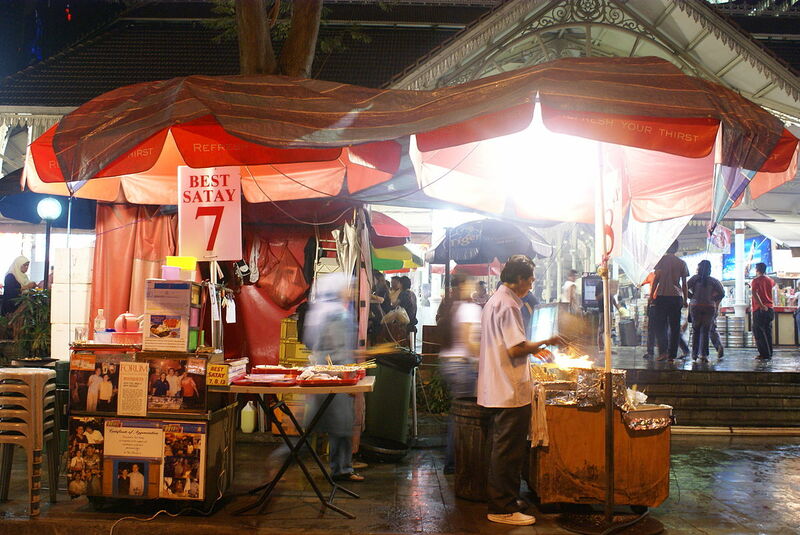 With its convenient location, this food market is definitely one you can easily make a trip to! Soak in the buzzing atmosphere of this night market in Singapore as you wander the streets of Boon Tat with the waft of grilled chicken tempting you to buy a plate (or two) of satay!